Mona is my working line German Shepherd Dog. Mona was imported from Germany at 2 months of age and since then has been raised and trained in my home with my family. Mona is our guard dog. 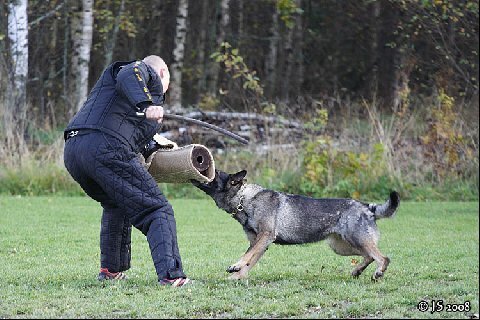 Mona's hobby is Schutzhund sport (German for "protection dog"). 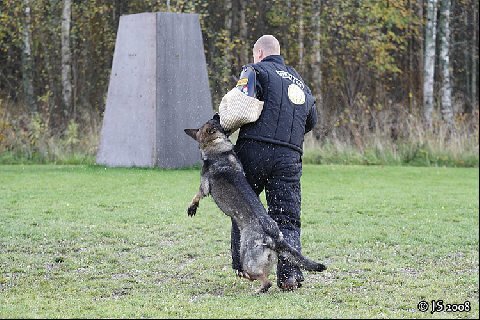 Schutzhund consists of three phases: tracking, obedience and protection. 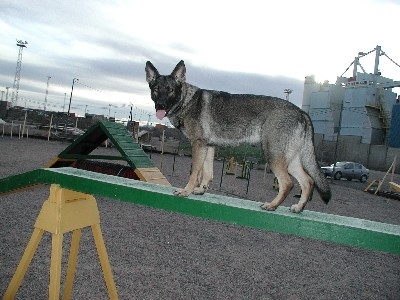 These all phases test for working dog abilities. Mona has passed a temperament test called BH. The BH tests basic obedience and sureness around strange people, strange dogs and traffic. 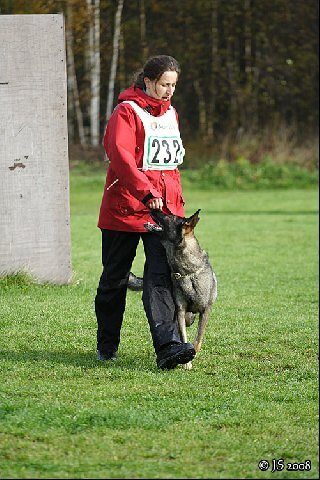 Before a dog can compete for a SchH1, BH must be passed. 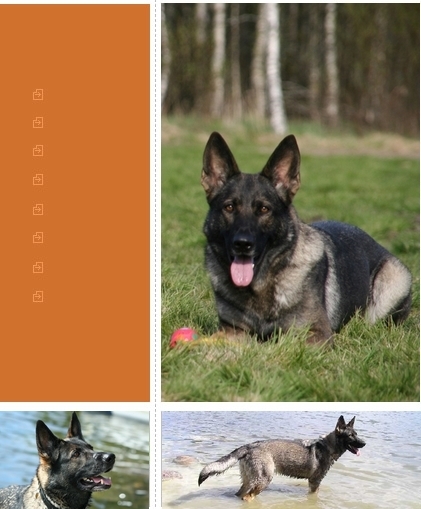 Mona has got title Schutzhund 1 (SchH1). 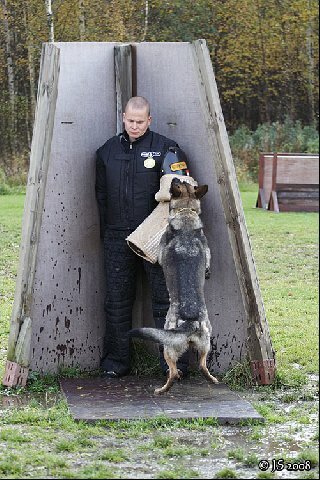 For this title dog must pass all three phases in one trial to be awarded a schutzhund title. Mona is our real working German Shepherd! 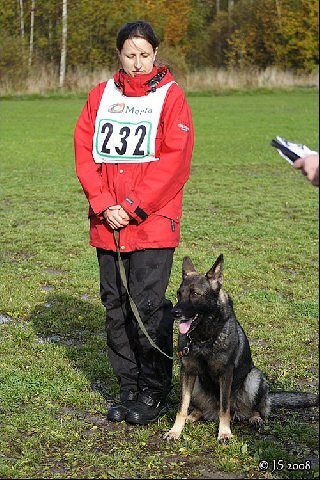 "Take this trouble for me: Make sure my shepherd dog remains a working dog, for I have struggled all my life long for that aim."